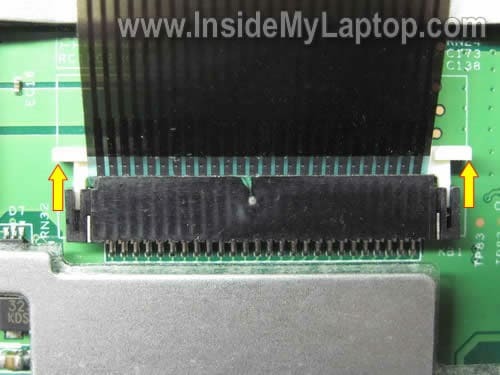 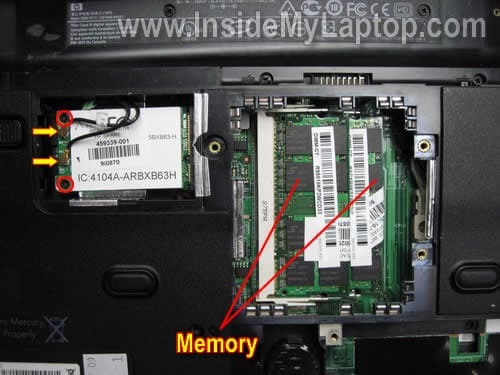 Slide the hard drive assembly to the right, disconnect it from the motherboard and remove from the laptop. 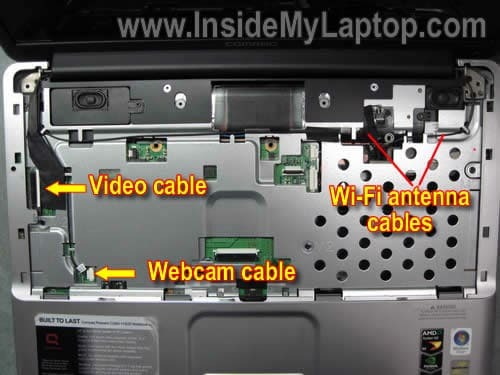 Disconnect two antenna cables from the wireless card. 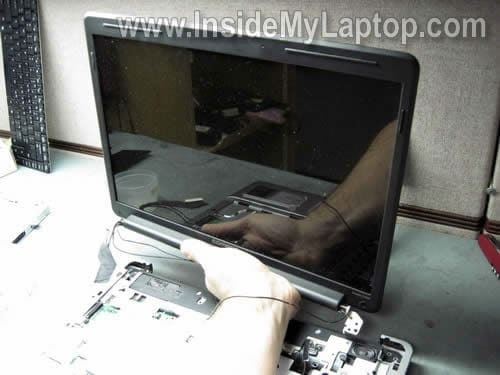 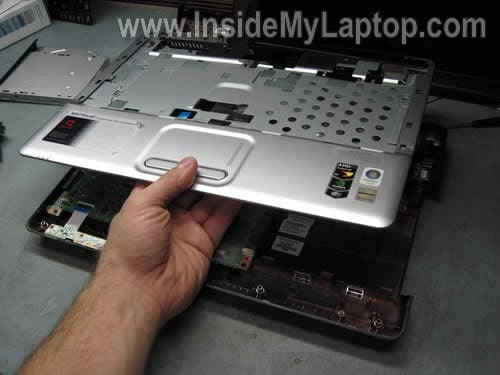 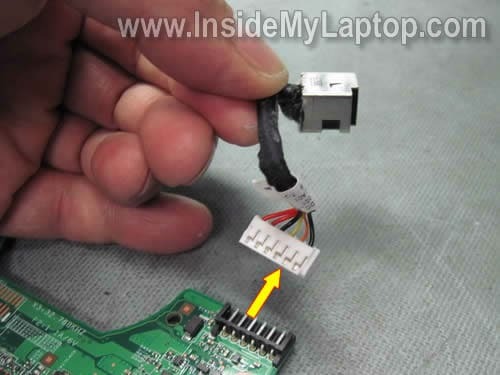 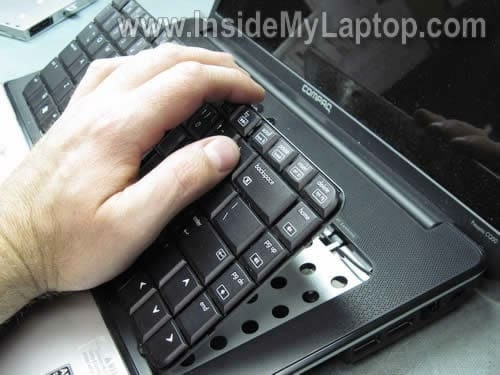 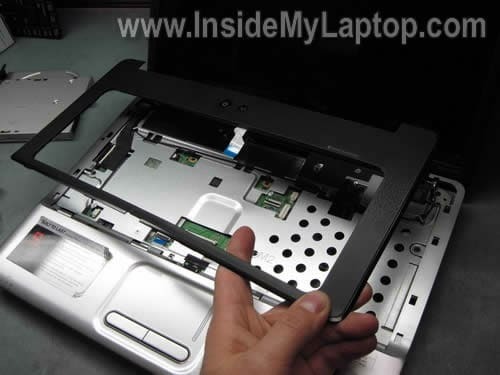 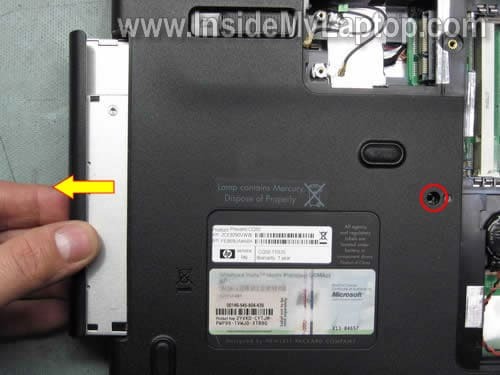 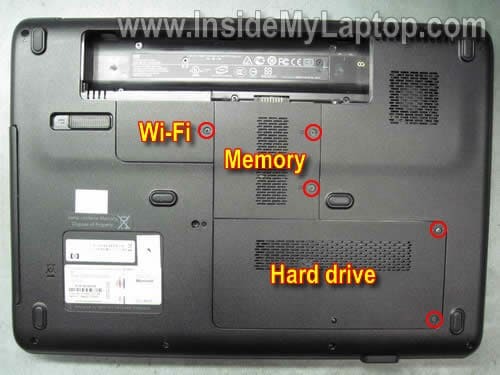 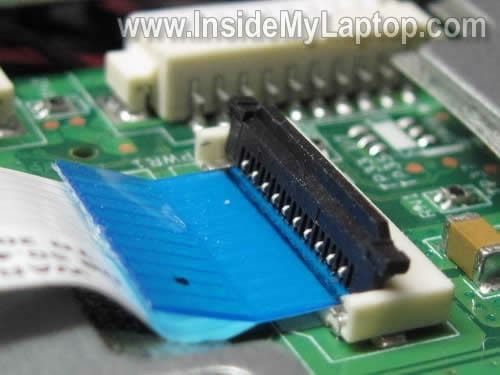 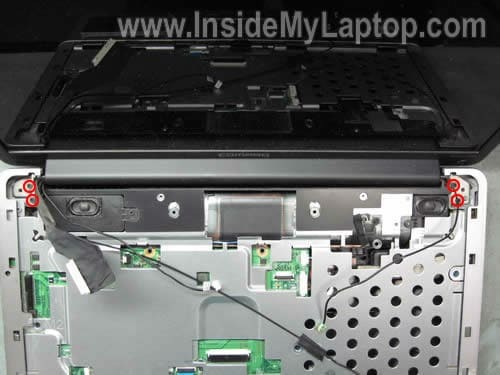 Remove two screws and remove the wireless card from the laptop. 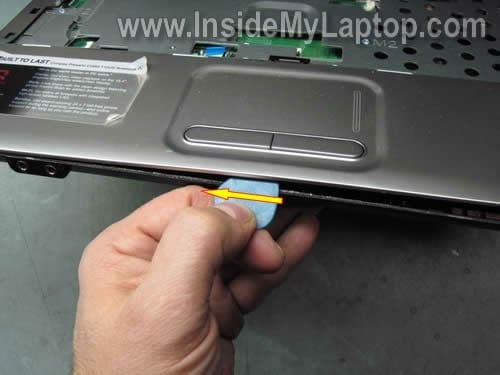 Pull the DVD drive from the laptop. 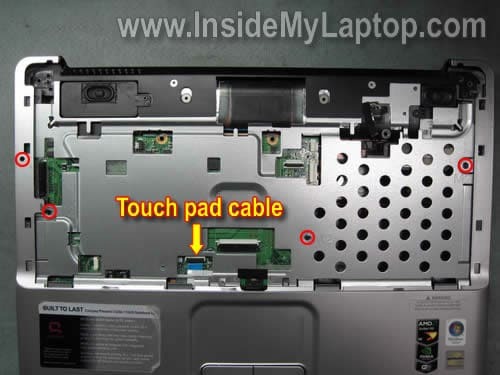 Access the keyboard cable connector underneath the keyboard. 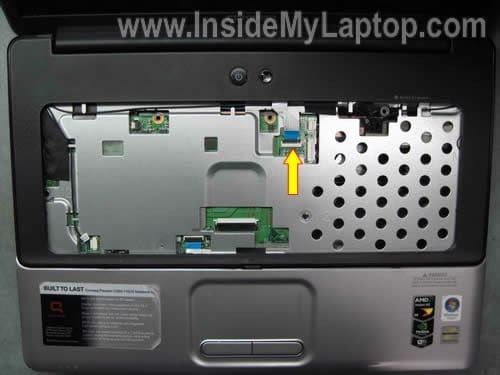 In the next post I explain how to remove the LCD screen, inverter board and hinges from the display assembly in HP G50/G60/G70 laptops. 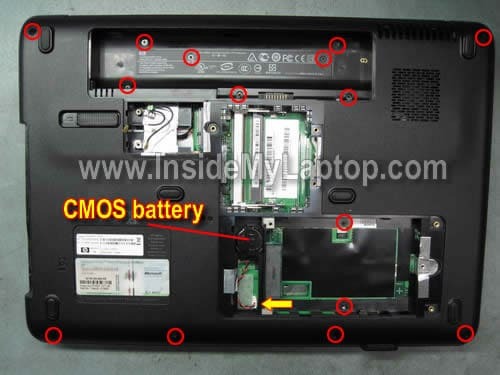 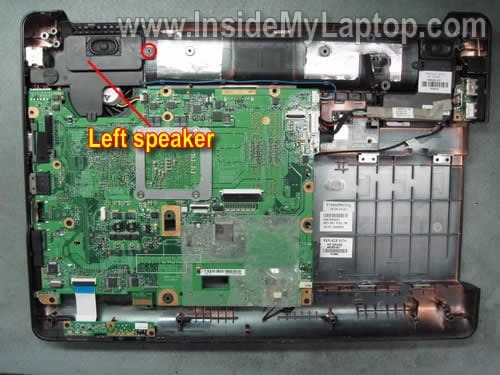 It’s similar for Compaq Presario CQ50/CQ60/CQ70 laptops. 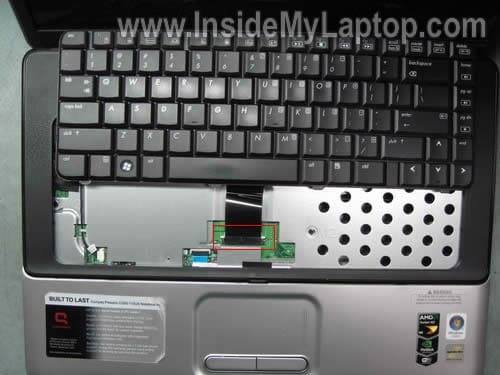 You can use a guitar pick in order to split the laptop case. 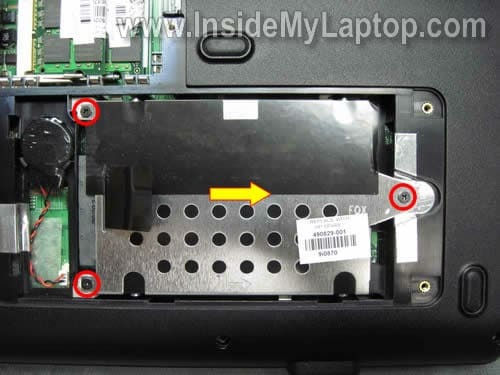 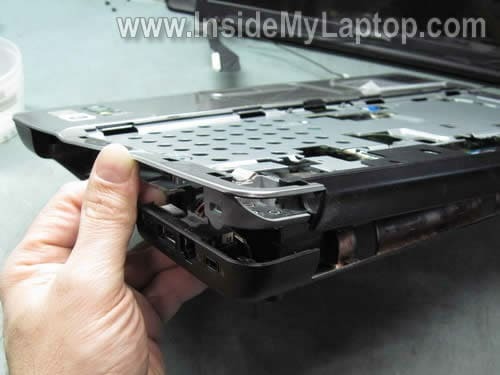 Remove the motherboard from the laptop base. 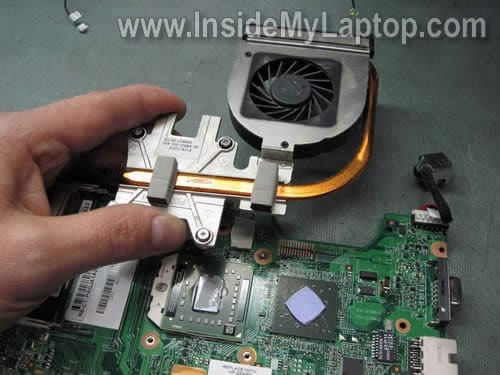 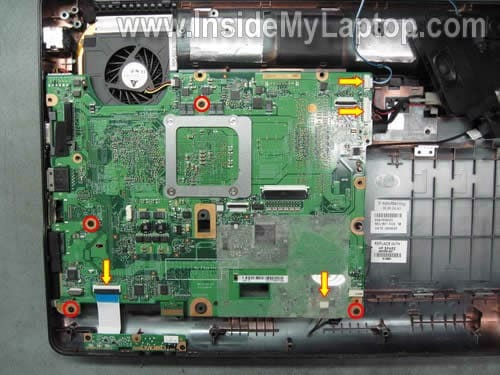 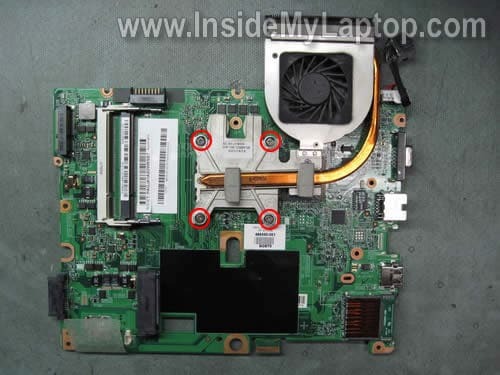 Remove the cooling fan assembly from the laptop.